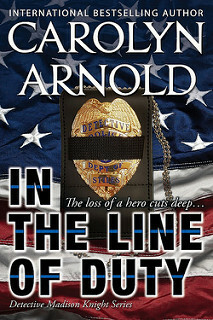 This is my stop during the book blitz for In the Line of Duty by Carolyn Arnold. 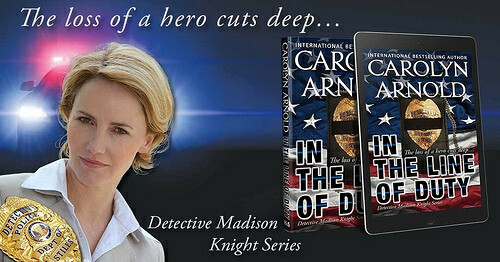 In the Line of Duty is the 7th book in the Detective Madison Knight series, but it can be read as standalone. Blurb: He devoted his life to seeking justice. But would she get any for him? 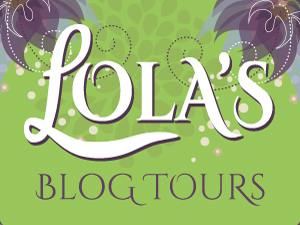 She pulled it out, and for a few seconds, she held onto it, letting her fingers dip into the thin ribbing in the half-inch-wide black cloth. 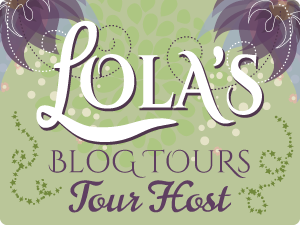 She unclipped her badge from its holder and slipped the band on, carefully placing it so that it ran horizontally across the center of her badge. As she stared down at the badge, thinking about what that simple band of black meant, a single tear crept down her cheek. But she didn’t have time to dwell on her fallen brother and grieve right now. She swiped at her eyes and returned the Baggie to the drawer and headed for the briefing. Even with her detour, she beat Sergeant Winston there. Sovereign and Stanford were already in the room along with about sixty officers. It was standing room only, and Madison scanned the crowd for Troy. But there was no sign of him or of her partner, Terry Grant. She didn’t see the police chief, either. 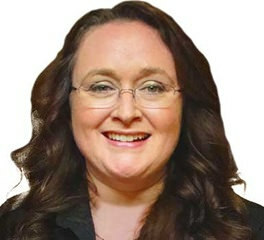 Andrea Fletcher, Troy’s older sister, had taken over the position almost seven months ago. To say she was a vast improvement over her predecessor was putting it mildly. Patrick McAlexandar was a chauvinist pig who had been in bed with the Russian mafia—the same mafia that almost killed her five months ago. And she was certain there was still a hit out for her. She couldn’t allow the passage of time to lull her into thinking it had gone away. If McAlexandar’s track record wasn’t bad enough, he also had aspirations to be the city’s mayor, but Madison would do whatever she could to sabotage his efforts. Terry walked into the room then and came over to her. She hugged her partner without hesitation. As much as they teased and rankled each other, he was like the brother she’d never had. “I didn’t see you at the hospital,” she said as she released him. “She is only two months old,” she reminded him. Spoken like someone who knew kids…which she didn’t. “Me neither.” The nausea that had settled into the pit of her gut didn’t seem like it would be going away anytime soon. Sergeant Winston entered the room, his mourning band also on his badge. Terry was working on getting his band in place, too.